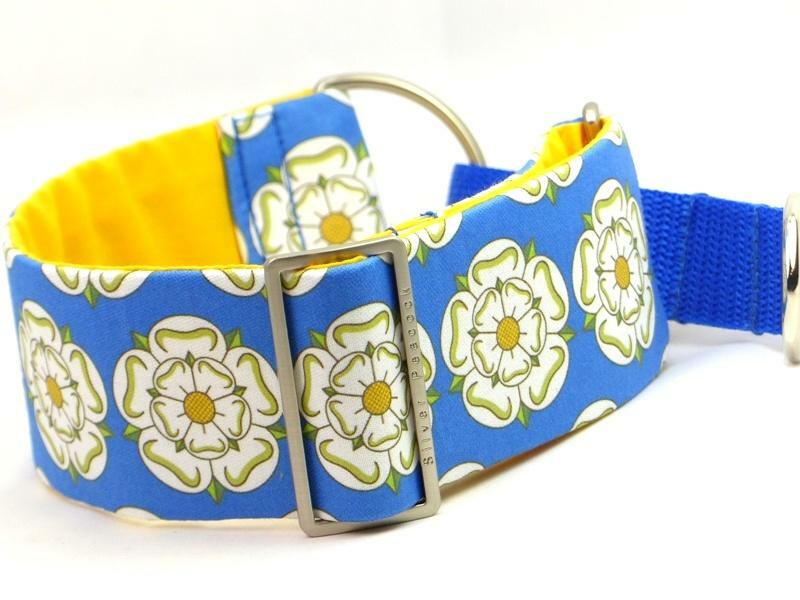 This collar will need no introduction for those in "God's own county"! All our products are VERY proudly made in Yorkshire, and it's very much our home so we thought it about time we celebrated that. 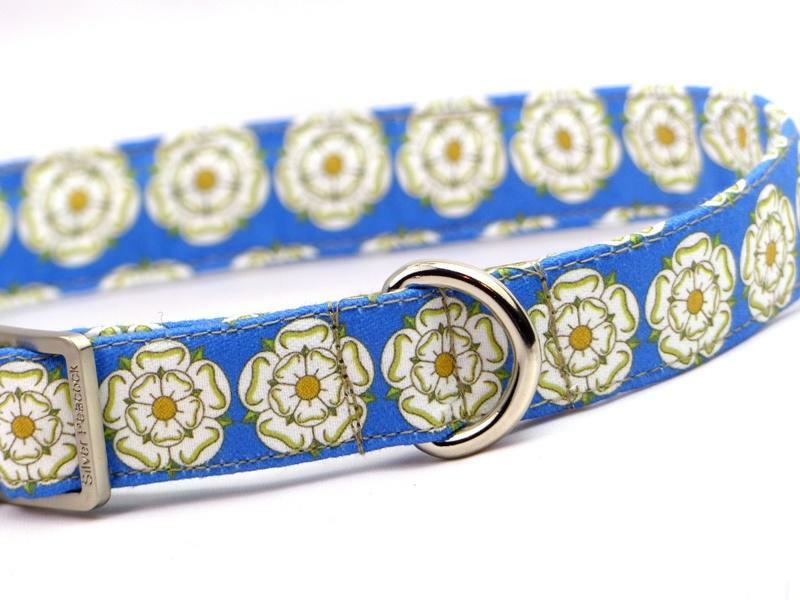 The design of this collar is based on the official Yorkshire flag, depicting the White Rose of Yorkshire on a background of royal blue. 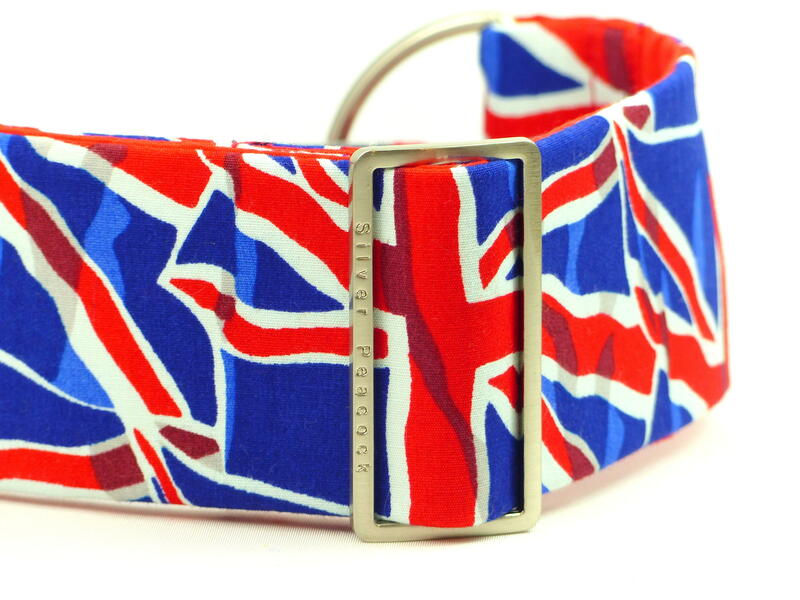 This is certainly going to be a collar perfect for those special occasions when your hound wants to wave the flag for their county! We're thinking the cricket, Tour de Yorkshire, Yorkshire Day, heck even the Olympics (well you all know how well we did last time!). The design is printed on high quality 100% cotton sateen giving a subtle sheen to the fabric. 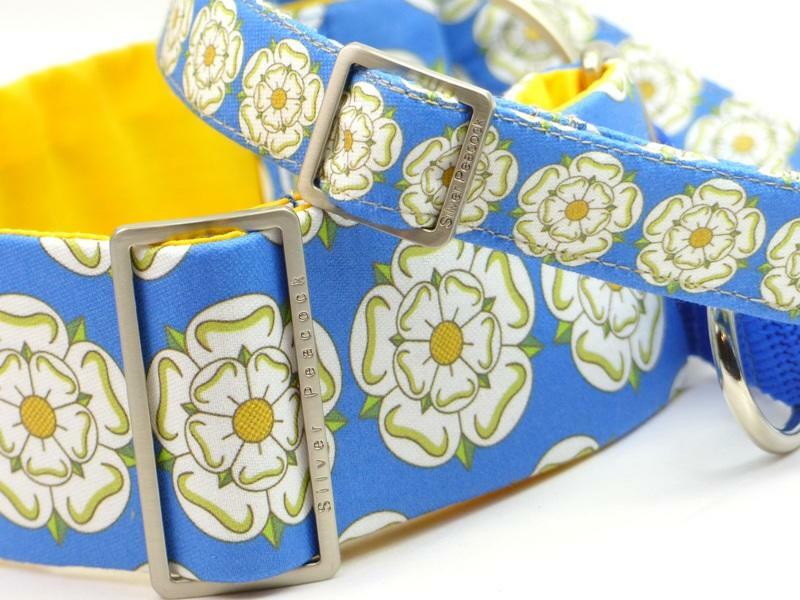 The collar is lined in complementary "Yorkshire Yellow" and is finished with our signature metalwork. 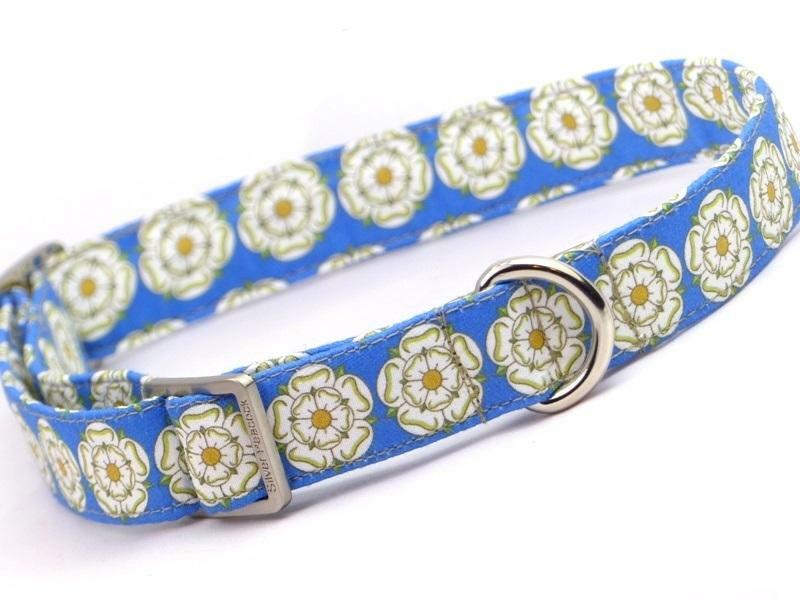 The small scale version of the design is perfect for Tiny collars and Ultimate leads.